SC 1-23 will prepare a commentary that evaluates recent studies on the radiation dose response for the development of cataracts, also considering the type and severity of the cataracts as well as the dose rate; provide guidance on whether existing dose limits to the lens of the eye should be changed in the United States; and suggest research needs regarding radiation effects on and dose limits to the lens of the eye. The commentary is intended to enhance the previous recommendations from NCRP provided in Report No. 116. The commentary will take into account the most current information regarding the dose response curve for the development of cataracts including consideration of cataract severity, address possible differences in cataract induction by dose rate, comment on the issue of severity of disease in the context of radiation detriment, open discussion about the appropriate dose limits for protection of the eye from the development of cataracts, determine the associated uncertainties, and identify research needs. The NCRP President, Co-Chairs, and PAC 1 and PAC 4 Vice Presidents met on August 11, 2013 to develop the scope and contents of the commentary and initiate a preliminary draft to guide the work of the full Committee. On January 14, 2014 the NCRP President, Co-Chairs, select members, and the NCRP Staff Consultant held a teleconference to complete Committee membership and determine the next steps prior to the first meeting by teleconference. The first meeting of the full Committee was via teleconference (February 19, 2014). At that meeting, further discussion was held regarding the membership of the Committee, basic science issues, and the proposed outline for the commentary. On March 12, 2014 an opportunistic second meeting (face-to-face) of a portion of the Committee was held in Bethesda, Maryland. Further refinement of the outline for the commentary was made and a presentation was provided by P. Tran of the Electric Power Research Institute regarding their activity relating to the lens of the eye issue following issuance of ICRP Publication 118. The full Committee met (March 24–25, 2014) in Bethesda, Maryland where further review of the preliminary material assembled was conducted, discussion continued regarding the scope and outline of the commentary, and writing assignments were confirmed. Draft material was assembled and distributed to the Committee for the next meeting. Continuing discussion on the status of writing assignments and content approach were held via webinar/teleconference as: a fourth meeting on April 21, 2014; a fifth meeting on May 16, 2014; and a sixth meeting on June 30, 2014. At the fifth meeting, Wayne Newhauser presented on new detector technology possibly of use for monitoring lens of the eye dose. At the sixth meeting, discussion was focused on what level of content was essential for an NCRP commentary. The working draft progressed through revision 2a by the end of June 2014. Additional meetings of the Committee were held via webinar/teleconference as: a seventh meeting on July 29, 2014 and an eighth meeting on September 29, 2014. At the seventh meeting, N. Hamada gave a presentation on radiation cataracts and whether they were deterministic effects, stochastic effects, or both. During the seventh and eighth meetings the substantially revised approach to the draft commentary was further developed through revision 3 by the end of September 2014. Additional meetings of the Committee were held via webinar/teleconference as: a ninth meeting on October 8, 2014, an eleventh meeting on November 20, 2014 and a twelfth meeting on December 18, 2014. A face-to-face meeting (the tenth) of the full Committee took place October 21–22, 2014 at NCRP Headquarters in Bethesda, Maryland. At each of these meetings the Committee moved closer to the final version of the draft commentary and a consensus on the key recommendations, with revision 4i in place by December 17, 2014. The Committee continued work on the draft commentary and upon completion of a consolidated draft (revision 5) conducted an internal Committee review January 11–26, 2015. Committee comments were reconciled by the Co-Chairs and Staff Consultant. The Committee voted to approve the draft commentary, with minor additional revisions (revision 6), for forwarding to the NCRP Secretariat to commence the PAC 1, PAC 4, and subject matter experts (SME) review process. The document was sent to the Secretariat on March 4, 2015. The Secretariat posted the official NCRP review version to the PAC/SME reviewers on March 12, 2015 with comments due by April 9, 2015. Following the receipt of additional comments on April 28, 2015 the Committee continued to reconcile PAC/SME comments during the third quarter. The PAC/SME comments reconciliation process neared completion by the end of the fourth quarter 2015 and the draft commentary was updated. The revised draft commentary was provided to the Committee for approval prior to the 13th Committee meeting via webinar/teleconference on January 14, 2016 where it was approved for forwarding to NCRP for commencing Council review. Council review began on February 8, 2016 and was completed with late arriving comments added to the comment reconciliation matrix by March 21, 2016. The comment reconciliation matrix and an updated draft commentary are expected to be completed in the second quarter. NCRP is grateful to the Centers for Disease Control and Prevention and the U.S. Nuclear Regulatory Commission for financial support of this work. is Associate Attending Physicist, and Associate Clinical Member in the Departments of Medical Physics and Radiology at Memorial Sloan-Kettering Cancer Center (MSKCC) in New York City. He earned an MS in Health Physics and a PhD in Adult Education. He is certified in comprehensive health physics by the American Board of Health Physics and is past chair of the Radiation Safety Committee of the American Association of Physicists in Medicine (AAPM), past President of the Greater New York Chapter of the Health Physics Society (HPS), Executive Council Member of the Medical Physics Section of the HPS, a Member of the Joint Safety Committee of the Society for Interventional Radiology and the American College of Radiology, past council member of the Radiological and Medical Physics chapter of the AAPM, and a member of editorial and review boards of several scientific journals. 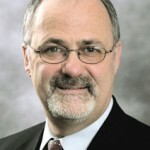 He serves as the Chair of the MSKCC Emergency Management Committee, a member of the Radiation Injury Treatment Network. In 2005, he received the Elda E. Anderson Award from HPS. He is a Council member and serves on he Board of Directors of the NCRP. He also serves as a member of the International Commission on Radiological Protection Committee 3 on protection in medicine, a member of the science council for the International Organization for Medical Physics, and was on the program committee for the International Atomic Energy Agency's International Conference on Radiation Protection in Medicine-Setting the Scene for the Next Decade. He serves on the Radiation Advisory Committee of the U.S. Environmental Protection Agency's Science Advisory Board. He has several publications in the topical areas of radiation protection and risks in the fields of detection, radiology, interventional radiology, x-ray imaging, nuclear medicine, and radiation oncology, as well as surgery and medicine. is a Principal Radiation Protection Scientist at the Public Health England (PHE) Centre for Radiation, Chemical and Environmental Hazards, with 7 y of experience in the field of biomarkers of radiation exposure, in particular in mathematical and statistical analysis of data. In recent years, Dr. Ainsbury has taken a growing interest in radiation induced cataracts and has helped to initiate a growing scientific and public health policy research program at PHE, with the core aim of contributing both to scientific understanding of the mechanisms of cataract induction and providing the context for appropriate translation of the basic research to current and future radiation protection policy and practice. Recent work includes publishing a comprehensive review of the current status of knowledge in the field, completing a survey of occupational lens doses for U.K. medical sector workers, reviewing the implications of the International Commission on Radiological Protection’s recent proposals for U.K. stakeholders. Dr. Ainsbury is also participating in a number of ongoing collaborative research projects focused on low-dose-induced early lens changes. is an Associate Professor in the Department of Radiation Oncology at the Indiana University School of Medicine and a member of the Experimental Therapeutics Division of the Indiana University Simon Cancer Center. He received a BS degree in Biology from Florida State University and a PhD in Cellular and Molecular Radiobiology from Colorado State University before completing a post-doctoral fellowship at the University of California, San Francisco. Dr. Dynlacht teaches a course entitled "Radiation and Cancer Biology" to radiation oncology residents and radiation therapy students annually, and is Co-director of the School of Medicine's Clinical Problem Solving course for first year medical students. He received a Trustee Award for his teaching efforts and involvement in resident training in 2012. Dr. Dynlacht's research interests include the development of agents that reduce normal tissue damage after irradiation (specifically damage to the lens), development of radiation countermeasures, mechanisms of heat- and radiation-induced cell killing, and development of thermally-activated chemotherapeutic compounds. He has served on advisory panels for several organizations, including Brookhaven National Laboratory, the National Institutes of Health, and the National Aeronautics and Space Administration, and is currently an Associate Editor for the journal Radiation Research. is a Distinguished University Professor in the Department of Medicine at the Medical University of South Carolina in Charleston and Principal Scientist at Exponent, Inc. He received an AB in mathematics and statistics from University of California at Berkeley, a PhD in mathematical statistics from University of North Carolina in Chapel Hill, and was a post-doctoral fellow in preventive medicine at Stanford University. Prior to joining the Medical University of South Carolina Dr. Hoel was Division Director for Risk Assessment at the National Institute of Environmental Health Sciences in North Carolina. Dr. Hoel is a Fellow of the American Academy of Arts and Sciences, a member of the Institute of Medicine of the National Academies, and a National Associate of the National Academies. His awards include the Spiegleman Gold Medal in Public Health and the Ramazzini Award in Environmental and Occupational Health. He has served on numerous governmental and National Academy committees including the Radiation Advisory Committee of U.S. Environmental Protection Agency’s Science Advisory Board and the BEIR V committee of the National Academy of Sciences. He was a member of International Agency for Research on Cancer’s committee on ionizing radiation (report 100D ) and contributed to the United Nations Scientific Committee on the Effects of Atomic Radiation 2006 report. Dr. Hoel’s research has focused on risk assessment methods with particular interest in low-dose radiation exposures and cancer. This work has included stays in Hiroshima as a Director at the Radiation Effects Research Foundation (RERF) and currently is a member of RERF’s Scientific Advisory Committee. Until a year ago, he was a member of National Academies’ Board on Nuclear and Radiation Studies. Finally he has testified several times in both the House and Senate on human health issues. graduated from Brooklyn College with BS in 1965 and from New York University School of Medicine in 1969. She then completed a medical internship and Master of Public Health before completing ophthalmologic training with a subspecialty in glaucoma. She has been involved in population based studies of age-related eye disease and of diabetes and complications since 1978. 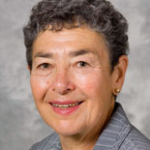 She is Professor of Ophthalmology and Visual Sciences at the University of Wisconsin-Madison having been on the faculty there since 1980.
recently retired (2015) from Indian Point Energy Center as Director of Indian Point Unit 1 and Special Projects. Mr. Mayer has more than 30 y of experience in the nuclear power industry. He joined the New York Power Authority (NYPA) in 1982 as a radiological engineer at Indian Point Unit 3 and worked in the radiation protection field for 20 y, including as Radiation Protection Manager. 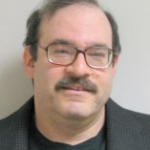 Mr. Mayer also spent approximately 2 y as General Manager of Unit 3 plant services under NYPA where he was responsible for site security, emergency planning, radiation protection licensing, and corrective action programs. Since that time Mayer has lead various major projects for Entergy including site integration after Entergy’s plant acquisition of Unit 2 and led the Unit 1 project culminating in the removal and dry storage of the spent fuel. Mr. Mayer was named Director of Unit 1 in 2007. In 2008, at the culmination of the Indian Point Independent Safety Evaluation, he was named as the senior management sponsor for the response and implementation of recommendations. Mr. Mayer holds a BS in Biology from Syracuse University, an MS in Radiological Science from the University of Lowell, a Master’s in Business Administration from Mt. St. Mary’s College, and is a Certified Health Physicist. is an assistant professor at the Wilmer Eye Institute of Johns Hopkins School of Medicine. She specializes in medical and surgical management of complex cataracts and serious corneal diseases. 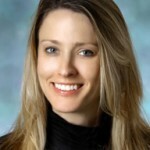 She is active in teaching the Wilmer residents and fellows both clinically and surgically and has developed and implemented a new surgical curriculum utilizing surgical simulators, laboratory training, and checklists. Her own surgical practice focuses on cataract surgery, including laser-assisted cataract surgery and specialty lenses, and modern forms of corneal transplants such as Descemet’s stripping endothelial keratoplasty and deep anterior lamellar keratoplasty. 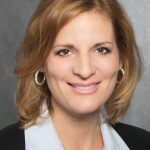 Dr. Prescott received her BA in biophysics from Columbia University and earned her MD and PhD (neuroscience) from the University of Colorado Health Sciences Center. She completed an internship at the Hospital of St. Raphael in New Haven, Connecticut, and her ophthalmology residency at Yale University. Dr. Prescott then completed a fellowship in cornea, refractive surgery and external disease at the Massachusetts Eye and Ear Infirmary of Harvard University. is Associate Attending Interventional Radiologist at Memorial Sloan-Kettering Cancer Center, New York. His research interests in this domain include reduction strategies for interventional radiology procedures, operator protection strategies, and patient-centered care, especially trans-disciplinary approaches to improve conversations about radiation risks and benefits between physicians and their patients. His clinical practice includes hospital- and outpatient office-based care of oncology patients, particularly those with thoracic and hepatobiliary malignancies. Previously, Dr. Thornton served the department as Vice Chair for Quality and Safety, and founded its ccreditation Council for Graduate Medical Education accredited fellowship program in Vascular Interventional Radiology. He received his MD from the University of Pittsburgh School of Medicine in 1998. Following an internship at Mercy Hospital in San Diego, he completed both Diagnostic Radiology residency and Interventional Radiology fellowship training at the University of California at San Francisco. In addition, he holds bachelor's, master's and doctoral degrees from The Juilliard School, where he trained as a classical pianist prior to medical school. He resides in northern Westchester county where he practices horticulture and plantsmanship as a hobby. is full Professor of Medical Physics at the Faculty of Medicine of the Complutense University in Madrid and head of the Medical Physics Service at the San Carlos University Hospital. He is Chairman of the Medical Working Party on Medical Exposures of the Article 31 Group of Experts of the European Atomic Energy Community Treaty and Chairman of the Committee on Protection in Medicine of the International Commission on Radiological Protection. is a Professor of Radiation Oncology and Radiology at Northwestern University Feinberg School of Medicine in Chicago. She and her group have been involved in studies of molecular consequences of radiation exposure, late tissue effects associated with radiation, and the use of radiation-inducible nanomaterials for cancer imaging and therapy. Dr. Woloschak also teaches radiation biology to radiation oncology and radiology residents, cardiology trainees, and graduate students and manages the Advanced Grant Writing Workshop for the Radiological Society of North America (RSNA). She earned her PhD in medical sciences from the University of Toledo (Ohio) and did post-doctoral studies in molecular biology at the Mayo Clinic. She has served on review panels for various federal agencies including the National Institutes of Health, the National Aeronautics and Space Administration, the U.S. Department of Energy, RSNA, the U.S. Army Medical Research and Materiel Command, and others. She is currently an associated editor for Radiation Research, the International Journal of Radiation Biology, PLOS One, and Nanomedicine. 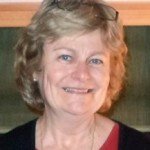 She is Vice President of NCRP Program Area Committee 1, has served on organizational committees for several NCRP meetings, and has been involved in committees for several NCRP reports. She also served as Vice-President of the Radiation Research Society. is a Senior Health Physicist in the Office of Federal and State Materials and Environmental Management Programs at the U.S. Nuclear Regulatory Commission (NRC). In this position, she serves as office lead for safety culture activities and is also a member of the working group tasked with developing the regulatory basis for the revisions to the radiation protection regulations (10 CFR Part 20). She joined NRC in 2004 and served as the Team Leader of the Medical Radiation Safety Team for 5 y. Ms. Flannery has 20 y experience as a health physicist in the medical industry as well as in military and research organizations. Prior to NRC, she served as Branch Chief and Radiation Safety Officer for the Defense Threat Reduction Agency and as the Radiation Safety Officer/Health Physicist at the Food and Drug Administration. Before her employment by the federal government, she worked as a Health Physics Consultant and as a Nuclear Medicine Technologist. Ms. Flannery graduated from Georgetown University with an MS in Health Physics and from the University of Wisconsin with a BS in Nuclear Medicine Technology. She was certified by the American Board of Health Physics in 2001. 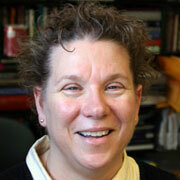 She currently serves as Chair of the American Board of Health Physics Part I Examination Panel. is the Associate Professor of Psychiatry, Neurology, Ophthalmology, Pathology and Laboratory Medicine, and Biomedical Engineering at Boston University School of Medicine. He received a bachelor’s degree in humanities and biology from Columbia University and went on to complete his medical and doctoral training at Yale University. Dr. Goldstein completed an internal medicine internship and residency program in psychiatry at Harvard Medical School. He was previously an Assistant Professor of Psychiatry at Harvard Medical School, as well as the Director of the Molecular Aging and Development Laboratory and Center for Biometals and Metallomics at the Brigham and Women’s Hospital, Boston. Dr. Goldstein’s work is focused on understanding the role of abnormal protein aggregation in chronic degenerative disorders of aging. The work in his laboratory concentrates on Alzheimer’s disease, age-related cataracts, and other common diseases of aging that involve pathogenic protein aggregation. His team recently discovered the first evidence of Alzheimer’s disease-associated amyloid pathology outside the brain as well as a new transcription factor that plays a crucial role in cellular differentiation within the lens and brain. He and his laboratory are developing a laser-based diagnostic technology that will hopefully detect Alzheimer’s disease years before the first symptoms emerge. 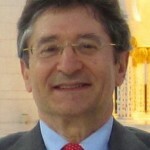 Dr. Goldstein has received honors from numerous organizations, including the Harvard Medical School, National Institute of Mental Health, National Alliance for Research on Schizophrenia and Affective Diseases, Alzheimer’s Association, the American Psychiatric Association, and the Optical Society of America. He is a Diplomate of the American Academy of Neurology and Psychiatry. was born in Japan in 1976 and received a BSc in radiological sciences from Ibaraki Prefectural University of Health Sciences in 1999. 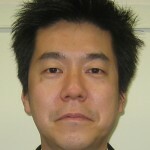 He earned his MSc and PhD in pharmaceutical sciences from Nagasaki University in 2001 and 2004, respectively. He was a visiting PhD student at the U.K. Gray Cancer Institute for six months in 2003. He was a postdoctoral fellow at the National Institute of Radiological Sciences and in Tohoku University Institute of Development, Aging and Cancer, and a Center of Excellence Associate Professor in Gunma University Graduate School of Medicine. In 2010, he joined Central Research Institute of Electric Power Industry (CRIEPI) as a Research Scientist. For NCRP, he is a PAC 1 member and was a Consultant to Scientific Committee 1–23 in 2014 to 2017 that produced NCRP Commentary No. 26. For the International Commission on Radiological Protection (ICRP), he is a corresponding member of Task Group 102, was Assistant Scientific Secretary in 2014 to 2016 and Associate Editor for ICRP Publications 126 through 132. 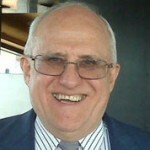 Besides various activities in NCRP and ICRP, he is Chair of Scientific Advisory Board for LDLensRad (the European CONCERT project on low dose radiation effects to the ocular lens), Associate Editor for the International Journal of Radiation Biology, Editorial Board Member for Mutation Research/Reviews in Mutation Research, and Editor for Radiation Protection and Environment. He was a member of the Expert Group on Radiation Protection Science for the Organization for Economic Co-operation and Development/Nuclear Energy Agency/Committee on Radiation Protection and Public Heath from 2013 to 2016 that produced NEA No. 7265 report. Since 1998, he has been involved in various radiation effect studies such as on nontargeted effects, heavy-ion effects and tissue reactions (e.g., cataracts and circulatory disease). He has published 92 papers in peer-reviewed international journals since 2001, which have gained >2,200 citations, impact factor and CiteScore of >210, h-index of 29, i10-index of 52, and RG score of >42. He received the 2013 Michael Fry Research Award of the U.S. Radiation Research Society and 15 awards from Japanese societies since 2006.
is currently a Senior Project Manager and the Radiation Management Program Lead for the Electric Power Research Institute (EPRI). She has been working for EPRI since 2003, managing research and development projects in the areas of water chemistry control, low level waste, and radiation management. Her main responsibilities now include overseeing the Radiation Management Program, which includes projects in source term reduction, dose reduction, radiation protection optimization, and investigation of health risks from low dose ionizing radiation exposures. She has a Master of Health Sciences in health sciences from Johns Hopkins University and BS in chemical engineering from Stanford University where she was a Merck Engineering and Technology Fellow. This entry was posted on June 2, 2015 by Cindy.